It is the firm belief of Melissa Weller, Jeff Zalaznick, Mario Carbone, and Rich Torrisi that no one has ever accorded the canonical Jewish appetizing platter of bagels and lox the respect it deserves. And so when the quartet open Sadelle’s, their bagel bakery and New York bistro, later this month, its featured attraction will be presented with the eye-catching grandeur of a plateau de fruits de mer and the posh elegance of English afternoon tea. 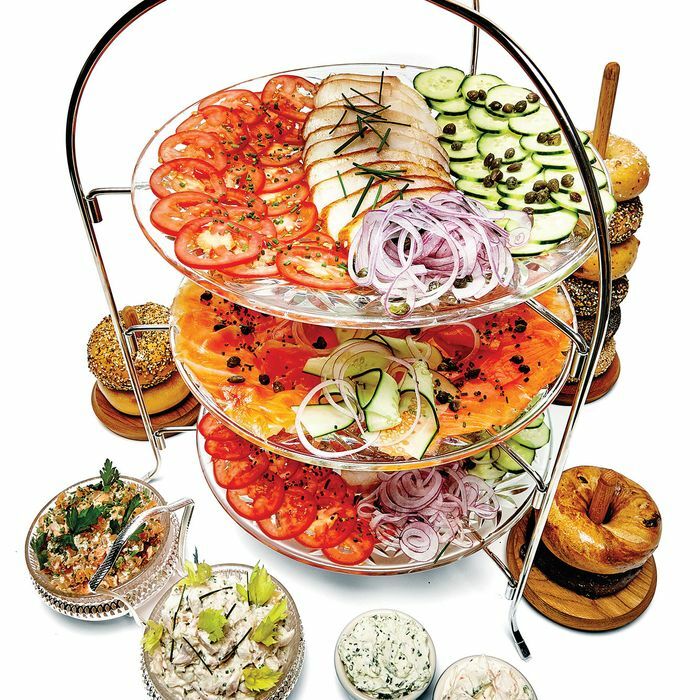 Weller has spent years researching the minutiae of bagel-baking, from seed coverage to barley-malt syrup, and this large-format order, intended for three or four, may be the world’s first market-priced smoked-fish sampler. On the menu at Sadelle’s; 463 W. Broadway, nr. Houston St.; 212-254-3000. *This article appears in the August 10, 2015 issue of New York Magazine.